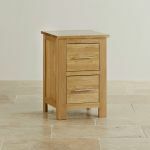 The Rivermead Natural Solid Oak 2 Drawer Bedside Table will set off one of our Rivermead beds a treat. 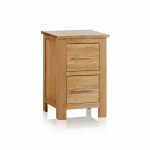 With the extensive Rivermead range, you can re-invent the entire bedroom in a cool and contemporary solid oak style. 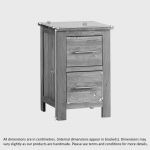 The two drawers in this unit are expertly handcrafted with solid oak bottoms and backs and dovetail joints. 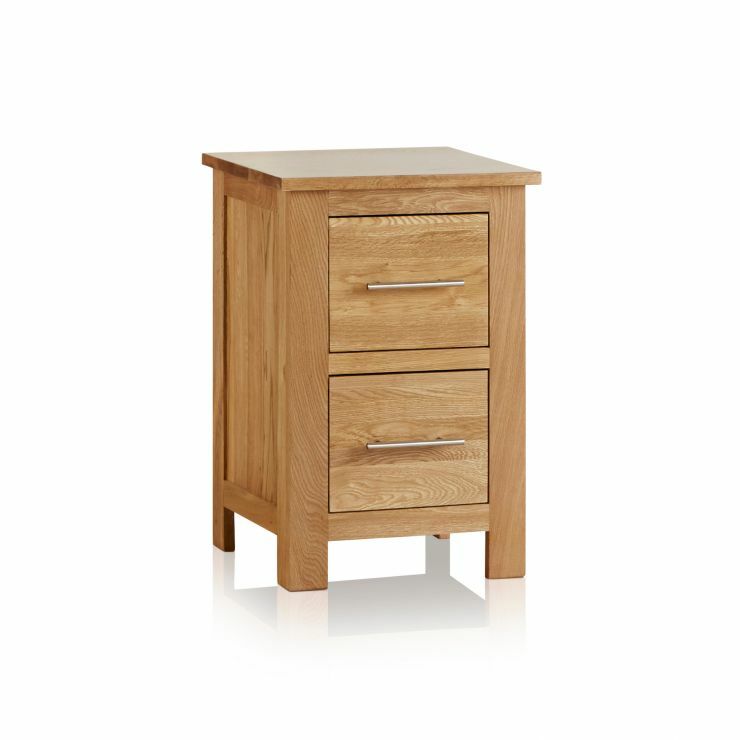 Both drawers feature sleek and slender brushed metal bar handles and beautifully waxed oak fronts. 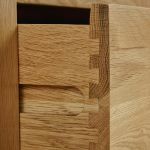 The whole piece is treated in a natural wax for protection and preservation of the oak's natural beauty. 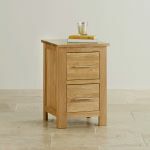 The solid oak top is just perfect for a bedside lamp for reading at night and a cup of tea in the morning! Bedside furniture has never been so stylish.